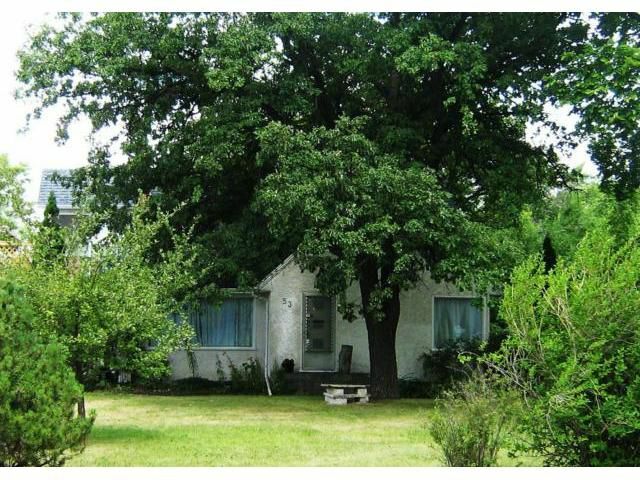 This is a spacious & inviting family home on an enormous lot with multiple species of mature trees. Two bedrooms and full bath on main floor, with loft master bedroom including walk-in closet and large en-suite bath with hot tub. Master bedroom accesses the 4-season glass walled sun room as well as second floor deck overlooking the luscious green yard and neighborhood. Full basement with bathroom, recreation room and large office. Plenty of storage throughout all 3 floors. Serene & peaceful back yard with deck/patio and large stone fountain. Lot includes over 12 different species of trees. Rare extended driveway ends in a handy double sized garage. Appliances included. Some newer windows, newer hot water tank (2010), dishwasher, washing machine & backyard landscaping. Walking distance to schools & tons of shopping. Very close to St. Vital Mall. Lot size and house size as per city of Winnipeg assessment.